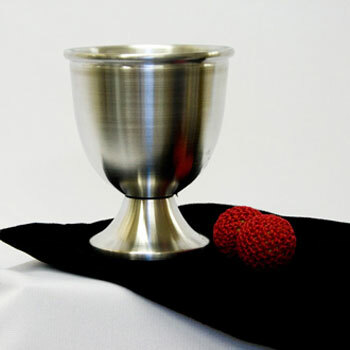 Make little balls vanish, reappear and multiply using a chalice cup! 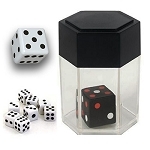 You'll really enjoy the clever shape of this Cup! 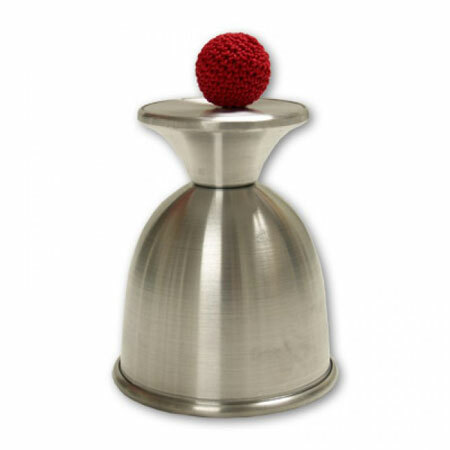 The classic cups and balls effect using just one cup and one ball- manufactured in gorgeous spun aluminum and shaped like a graceful chalice cup! This is a collector quality piece of magic! 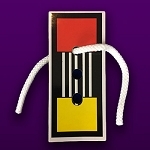 What a great gift for the magician in your life- or even yourself! 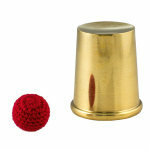 The ball can be made to magically jump from the hand to the cup and back again. 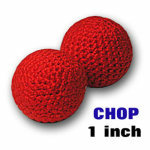 You can make the ball disappear, or change it into something else- even an oversized knit ball! 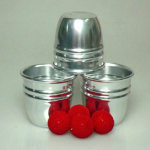 A great routine can climax with the production of a large piece of fruit from under the cup! This cup has an oversized mouth opening, so many effects are possible. 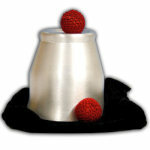 Many professional magicians actively collect different sets of cups and chop cups, especially treasuring the cups with unusual shapes- like this one. This chalice cup will not only give you many years of performance pleasure, but it will also look fantastic on your library shelf! It's definitely a "show off"! 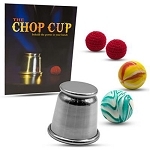 For more detailed instruction and routines, see the Chop Cup Book. 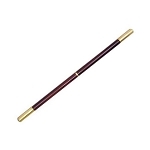 Replacement or extra balls are also available. 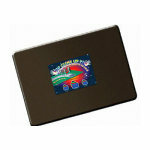 Our Closeup Pads make a nice performance surface. 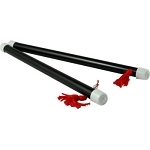 And a Deluxe Magician's Wand helps in the smooth performance of certain routines. 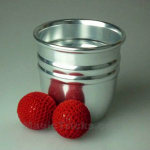 See more CUPS AND BALLS sets! 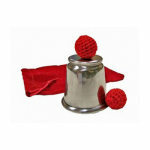 Chop Cup is 4.5" tall, 3.75" mouth diameter. Made of spun aluminum. 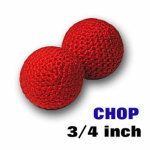 Balls are 1" size. 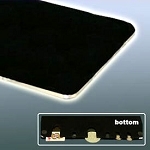 One is gimmicked with a magnetic shim inside, one is regular. 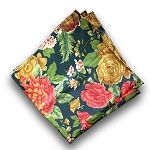 For routines and ideas, please see the CHOP CUP BOOK. 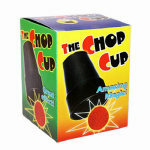 The Chop Cup was invented in 1954 by Al Wheatly, who performed professionally as "Chop Chop". Buy this item - get 55 Rewards Points!